Our Steering Committee members come from a range of backgrounds offering a broad reach of experience and expertise in Education for Sustainability. Kim Beasy lives locally in Launceston with her young family and works as a researcher, tutor and Sustainability Officer at the University of Tasmania. Kim’s research explores what sustainability means and looks like for a diverse range of community members. Kim is engaged in a range of community-based sustainability projects and is particularly passionate about practices of consumption. 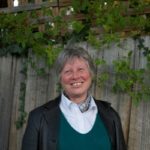 She is an active member of the Australian Association of Environmental Educators, the UTAS Education for Sustainability Community of Practice and the Tamar NRM Sustainable Living Working Group. You will often find Kim with her family wondering the Trevallyn Reserve with her high energy retriever. View more. Leah Page is completing her PhD in Sustainability Education at UTAS, specifically Marine Litter Education in Tasmania and working as an Academic Casual at UTAS and with Parks and Wildlife Service supporting their Wildsc’ools Program. Leah has a long history of community engagement and facilitation in many projects in Tasmania over the past 17 years. Leah is looking forward to continuing to grow and nurture this wonderful network of inspired and inspiring sustainability educators and practitioners. 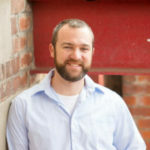 Todd is a humanitarian engineer turned sustainable community development leader. He’s passionate about helping people to live happy, healthy and sustainable lives. Todd has conducted engineering research into renewable energy systems with UTAS in Hobart and the Institute for Energy Technology in Norway. 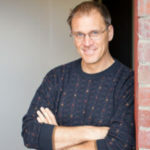 Todd has worked for Engineers Without Borders in Hobart and Melbourne and is fascinated by the intersection between appropriate technology and participatory, strengths-based community development. Todd has been the Executive Officer for Sustainable Living Tasmania for six years. Alison is working in TasTAFE’s Finance and Assets unit as Coordinator, Asset Management and Sustainability. With over ten years working at TasTAFE, in roles in marketing, business development, quality, assets and sustainability she is using her skills and strong organisational knowledge to analyse opportunities for business improvement and to implement and promote appropriate sustainable management practices. Key objectives of her role include building essential business intelligence on facility usage, improving the efficiency of use and sustainability of TasTAFE’s substantial facility portfolio, creation of efficiencies through better operating practices and promoting the integration of sustainability strategies into business planning and day to day operations within TasTAFE. 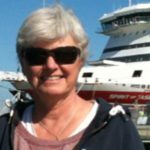 Originally from Canada and prior to moving to Tasmania and joining TasTAFE in 2015, Diana spent twenty five years in the IT&T industry and Vocational Education Training sector in South Australia. 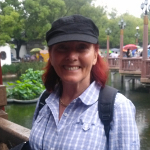 In 2009 Diana’s sustainability journey began studying the Diploma of Sustainability after which she commenced co-delivery of ‘Integrating Sustainability into Training Packages’ and the Sustainable Practice Skill Set to VET Practitioners across South Australia. From 2010-2014 she represented TafeSA as a member of the Australian Campuses Towards Sustainability (ACTS SA) and in 2012 received the TafeSA Regional Excellence Award for ‘Achievement and commitment to the strategic direction of sustainability’. In 2013 she completed the Vocational Graduate Certificate in Education Training for Sustainability (DIISTRE funded Scholarship) with the National Centre for Sustainability Swinburne. An aspiring permaculturist, with a brown thumb, Diana reveres nature, looking at every opportunity to reduce the carbon footprint of her family, friends and that of her menagerie of two and four legged animals. Di is a long term researcher, academic and practitioner in the field of early childhood education. 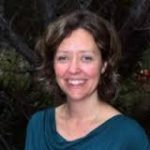 Since arriving in Tasmania in 2009 she has taken on several roles to pursue her passion for advancing sustainability in the early years of children’s lives. 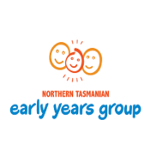 Di chairs NEYG adopting a collective impact approach to give children from the Northern Tasmanian region the best start in life. 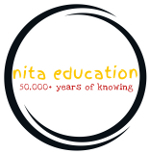 As educational leader consultant with Northern Children’s Network (NCN) Di works with educators across the State to develop sustainability projects with young children and their families. Her work in this area is informed by research undertaken with colleagues on professional learning about sustainability, and capturing children’s views of play spaces. Di remains a learner and says she gains much from the people she works with. Nel is Education Strategist for Greening Australia, based at the Sustainability Learning Centre at Mt Nelson. Nel’s focus has been on nature based education supporting teachers in developing a sense of place. She is currently working with five schools on ‘Bushrangers’ , linked to the large scale restoration project in the Midlands Biodiversity Hot Spot. This project actively engages school students and their communities with PhD researchers and Architecture and Design students. Nel is also working on Energy Wise a partnership with TasNetworks developing an energy hub at the Sustainability Learning Centre. Ben Clark is the Community Engagement and Project Manager at Launceston Church Grammar School. Prior to relocating to Launceston in early 2015, Ben worked for the South Australian Department of Environment, Water and Natural Resources in policy roles within heritage and natural resource management. Ben is passionate about education for sustainability and is collaborating with Launceston Grammar teachers and leaders to promote a sustainable School in curriculum and practices. Karen is employed as a Laboratory Technician at Launceston Church Grammar School and has been in this role for the past 5 years. She has a Diploma in Laboratory Technology and during the past 20 years has also worked for Tasmanian Alkaloids PTY and DPIWE. Karen has driven the project at LCGS to implement Co-mingled Recycling across the entire senior campus, reducing the school’s overall waste output to landfill considerably. This, coupled with an agricultural project encompassing cultivating vegetables, composting, worm farming and chicken husbandry has seen the school recognised both locally and state-wide, winning the Keep Australia Beautiful ‘Sustainable School 2016’ award and Launceston City Council’s ‘WASTE NoT’ award. Karen hopes to encourage other schools and businesses to adopt a similar project, engaging their staff, students and broader communities towards more environmentally responsible waste management practices. Jenny is the manager of Sustainability Learning Programs for the Department of Education. Jenny’s based at the Department of Education’s Sustainability Learning Centre at Mt Nelson which is an innovative, sustainably designed building, surrounded by 65 hectares of bushland. Jenny’s role is develop and manage sustainability programs at the Sustainability Learning Centre and provide leadership and support to schools state-wide. Also to liaise and network with sustainability education stakeholders and partners, to make opportunities available to schools. The Regional Centre for Excellence provides a great opportunity for Tasmanian learners/schools in their communities to be involved in hands on real world research investigations and provide mentoring and leadership from experts from within industry, business or research organisations. Helen was an accountant and teacher until returning to Tasmania from 2 years volunteering on a small island in the Pacific. This experience brought her to a belief that a globally-focused education in ‘first world’ countries is crucial to overcoming poverty and other forms of injustice (including the inequitable sharing of the environmental costs of ‘development’). 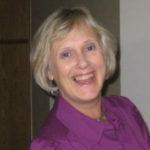 After completing studies in community and international development, Helen became Coordinator of A Fairer World in 2003. Her accounting and teaching skills have continued to be useful in running a community organisation that aims to be Tasmania’s leading provider of education for social justice and human rights. Corey has been active in sustainability issues in Tasmania since arriving via an Antarctic research vessel in 1996. He is a graduate of the Tasmanian Leaders Program and led MacKillop College’s award-winning sustainability efforts in water conservation, renewable energy projects, and food garden for a number of years. In 2010 Corey took up the position of Sustainability Officer at the University of Tasmania, becoming Sustainability Manager in 2011. Corey is the Vice President – Resources | Australasian Campuses Towards Sustainability. He is also a core member of the University’s Education for Sustainability Community of Practice and lead staff member managing the national award winning Sustainability Integration Program for Students (SIPS). 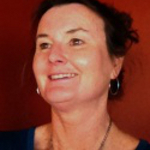 Carmen is Sustainability Officer and Adjunct Lecturer in Marine Conservation at the University of Tasmania. 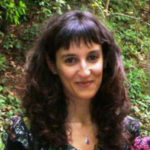 Following her undergraduate and postgraduate studies (MSc and PhD) in marine science in Spain, Carmen came to Tasmania to work as an academic in marine conservation. During this time, she progressively developed an interest in the balance of humanity and nature and both environmental and social conservation issues. The understanding that living sustainably is essential for the wellbeing of individuals, communities, and the planet that sustains us led her to change her career path and became Sustainability Officer at the University of Tasmania in 2012. 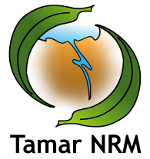 In this role, she was a core contributor to the development of the application to recognise Education for Sustainability Tasmania as a UN Regional Centre of Expertise on Education for Sustainable Development. She is also a member of the University’s Education for Sustainability Community of Practice. Graham is a philosopher working at the University of Tasmania in Launceston. 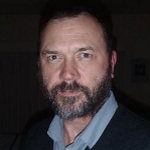 He has teaching and research interests in a number of sustainability related themes. In a broad sense, his research examines the relationship between values and science and, in the specific context of sustainability, this includes examining environmental values and their role in environmental management decision making processes. At the university he teaches into a number of undergraduate units directly related to sustainability. Caroline is an Adjunct lecturer in science education and sustainability at UTAS as well as a researcher and writer. Prior to settling in Tasmania in 2013, she taught in the Vocational Graduate Certificate in EfS at Swinburne University’s National Centre for Sustainability, and before that, Australian Catholic University. She has also been a high school science teacher and plant pathologist. Caroline is a co-recipient of the Australasian ACTS Green Gown Award for Learning and Teaching and co-recipient of an ALTC Citation Award for Leadership in Education for Sustainability. She has also worked with teachers and farmers in Solomon Is and is currently co-writing teacher education materials for the Pacific for UNESCO. Caroline’s interests are in permaculture, local food security and climate change. View more. 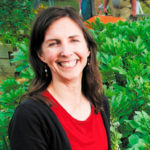 Sandy Murray is lecturer in Food Security and Public Health Nutrition within the School of Health Science at the University of Tasmania. In 2011 Sandy co-coordinated the establishment of University of Tasmania’s Education for Sustainability (EfS) Community of Practice (CoP). Since this time Sandy with colleagues from the UTas EfS CoP and community partners have been working towards Tasmania becoming a United Nations Regional Centre of Expertise in Education for Sustainable Development which has now been achieved. 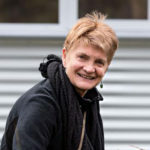 Sandy has a personal and professional interest in working towards a sustainable food future for Tasmania, with a specific focus on the connection between food literacy, food security and disadvantage. View more. 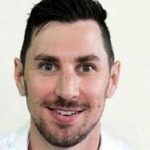 Sherridan Emery is a Launceston-based doctoral student in the Faculty of Education at the University of Tasmania whose research investigates the concept of cultural wellbeing in classroom communities. Through this research Sherridan has engaged teachers and educators in research conversations about supporting cultural wellbeing. 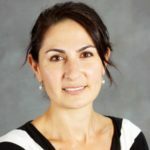 An active member of the University of Tasmania’s Education for Sustainability Community of Practice, Sherridan has a particular interest in early childhood education for sustainability. In this space she is also an active participant in the international research collaboration ‘Transnational Dialogues in Early Childhood Education for Sustainability’ and has co-authored a forthcoming chapter about this initiative as a model for building capacity for education for sustainability in universities. View more. 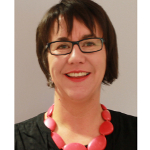 Kristin is currently employed as the Head of Student Leadership and Careers supporting the central Student Experience portfolio across all campuses of the University of Tasmania. Her role includes co-supervision of the Sustainability Integration Program for Students (SIPS) with particular responsibility for the formal recognition of student sustainability interns under the Vice-Chancellor’s Leadership Program. 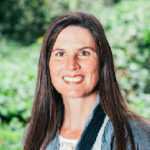 Kristin has been a university-wide advocate of sustainability, creating the framework for the Education for Sustainability Community of Practice and remaining an active member of this group since 2012. 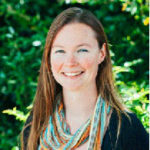 Kristin previously lectured in the School of Geography and Environmental Studies and has worked as an interdisciplinary curriculum and learning designer for climate change education across a range of projects in Tasmania and across Australia. Education for Sustainability has been a core tenet of Kristin’s work and research during her 14 years in Tasmania. Her interests and contributions to this area are best identified through her passion to connect people and opportunities in ways that catalyse positive outcomes and create change for the benefit and inclusion of learners across the state.